A powerful tool for analyzing nested designs in a variety of fields, multilevel/hierarchical modeling allows researchers to account for data collected at multiple levels. Multilevel Modeling Using R provides you with a helpful guide to conducting multilevel data modeling using the R software environment. 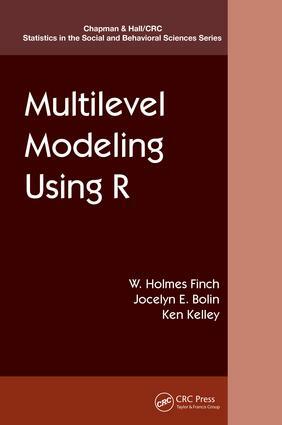 After reviewing standard linear models, the authors present the basics of multilevel models and explain how to fit these models using R. They then show how to employ multilevel modeling with longitudinal data and demonstrate the valuable graphical options in R. The book also describes models for categorical dependent variables in both single level and multilevel data. The book concludes with Bayesian fitting of multilevel models. For those new to R, the appendix provides an introduction to this system that covers basic R knowledge necessary to run the models in the book. Through the R code and detailed explanations provided, this book gives you the tools to launch your own investigations in multilevel modeling and gain insight into your research.